Asset prices can periodically rise to stratospheric levels, defying logic. When prices first start trending upwards, there is usually a very good reason for the increase. But at times, “irrational exuberance” can take over. That’s a phrase coined by Alan Greenspan, former chairman of the US Federal Reserve, the country’s central bank. In a 1996 speech, he pointed out that sometimes there can be a set of economic conditions that lead to an unreasonable expansion in asset prices. Consider the dotcom boom in the late 1990s. In the five years leading up to the end of the last century, the NASDAQ index rose from 1,000 to more than 5,000. Less than two years later, the crash took the index down to a level of 1,114. But it’s not just the stock market that can rise into bubble territory. In the early part of this century, housing prices in the US started rising rapidly. Finance was easily available and banks offered loans without requiring borrowers to put up down payments. When prices crashed in 2007, many homeowners owed their bankers more than their homes were worth. This triggered the 2008 stock market crash and the global financial crisis. Banks across the world started limiting the amount of money that they were willing to lend to businesses. Economic activity slowed and millions of people lost their jobs. Will you be affected by irrational exuberance? Take this investment personality test to find out. Although the phrase was first used by Alan Greenspan, it was popularised by Nobel Laureate Robert J. Shiller. His best-selling book, “Irrational Exuberance,” explains that bubbles are triggered when the market value of an asset increases at a frenzied rate, exceeding its intrinsic value. Investors pay less importance to the underlying fundamentals of an asset. Instead, purchases are made based on speculative mania. The media also plays a part in this process by reporting on how some investors have made windfall gains. Finally, there is a development that triggers a crash. The bubble bursts and investors are left holding assets that have suffered a sharp fall in their value. Diversify – do not deploy all your capital into a single asset or asset class. Allocate your investible resources across a range of investments with different risk profiles. Your options include stocks, bonds and real estate. Rebalance – remember to rebalance your portfolio regularly to meet your desired risk tolerance as over time, market conditions can alter the risk profile of an investment portfolio. If you do not feel comfortable monitoring your own portfolio, consider seeking the help of a professional manager. Utilise your capital wisely – planning to invest in digital currencies? You may make a very high return, but you could lose as well. Think back to the bitcoin boom and bust (and boom again) over the last few months. When investing in highly volatile investments, use your risk capital – money that you can afford to lose. It is also important to keep one more factor in mind. Every investor has a certain “investment personality”. This plays a large role in determining how you react to changing market conditions. Understanding yourself and keeping biases in check can play a part in helping you safeguard the value of your investments. Learn more about how you are likely to invest, with Schroders’ investIQ investment personality test. You are not a risk taker and you do as much research as possible before making an investment decision. This is an advantage as well as a disadvantage. On the positive side, you will not invest based on speculative mania and get caught out when the bubble bursts. But your fear of making a poor decision could also prevent you taking any action. By only investing in safe or proven investments, you miss out on the potential of earning an above average return on your investments. Utilise your strengths to make informed decisions. But be willing to take on more risk if you want to generate the growth that will turn your savings into something more substantial. You don’t think you are a good investor, so you believe the best approach is to follow the actions of others. As a natural optimist, you cope well with uncertainty and can tolerate volatility in markets without becoming anxious about your investments. This puts you in a good position to take on higher return, higher risk investments. However, this also means that you are susceptible to herd investing. 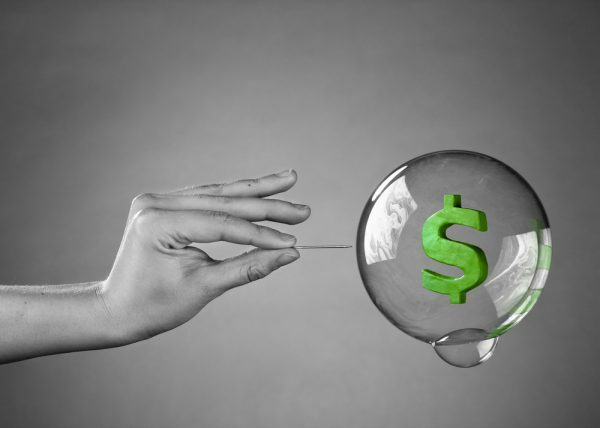 It is likely that you will pay an inflated rate for a given asset and may still be invested when the bubble bursts. Build your confidence by taking time to research where to invest your money. Then trust yourself enough to make an educated decision. Think you are a vigilant planner? Or an opinion hunter? Take the investIQ test and know for sure! You make your own path and follow it assiduously. You rely on your own knowledge and are slightly pessimistic by nature, but this can work for you as you are able to weigh the pros and cons of an investment better than most. You are less likely to invest in an asset if you do not think that the price is justified by its fundamentals. This pessimism however, can take over. You find losses hard to digest and sometimes anxiety can kick in and you make decisions too quickly. If markets fall, you tend to expect the worst and irrationally sell your investments for fear of losing everything. Avoid over-trading your portfolio based on short-term market rises and falls. And while your independent streak means you do not readily seek advice, do not ignore expertise available to you. Your greatest strength is that you are calm and optimistic when it comes to investing. As far as you are concerned, the glass is always half-full. If your investments do badly or markets are volatile, you keep your cool and remain invested. Sometimes you tend to be over-confident, and this can lead to impulsive decision-making. You may put in too much your capital into a highly volatile asset, despite not giving it due thought or conducted thorough research. If the investment performs poorly, this can jeopardise you’re your future financial goals. Your over-confidence can lead to you rely more on luck than logic. Don’t believe your previous successes will automatically lead to further success. Ensure you evaluate every investment decision thoroughly, and set them against a variety of personal and wider economic scenarios. Do you have a Fear Of Missing Out (FOMO)? Don’t be! Take the investIQ investment personality test now! Have you figured out which investment personality type you fall into? If your answer is no, simply take Schroders’ investIQ test. You will be asked to short series of questions and when you complete the test, you will receive a personalised report that tells you about your investment personality and how you can play to your strengths and keep your weaknesses in check. Just a few minutes of your time could help you to become a more successful investor. This article is sponsored by Schroders. All views expressed in the article are the independent opinion of ZUU online. ZUU online is an Asian-based Finance Education Portal aimed at helping individuals to improve their knowledge on personal finance and money, through educational articles on business, investments, property and insurance.